This week was filled with seeing great friends, getting crafty and adventuring. First was Paint Nite with these two lovely ladies, Christina and Diana. We don't see enough of each other but our BFF dates are awesome. 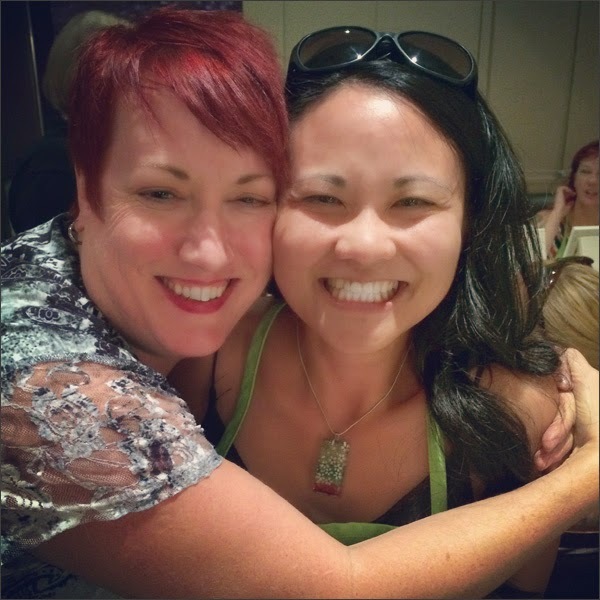 We share updates, laugh and generally have tons of fun. Diana treated Christina and I to a paint night. 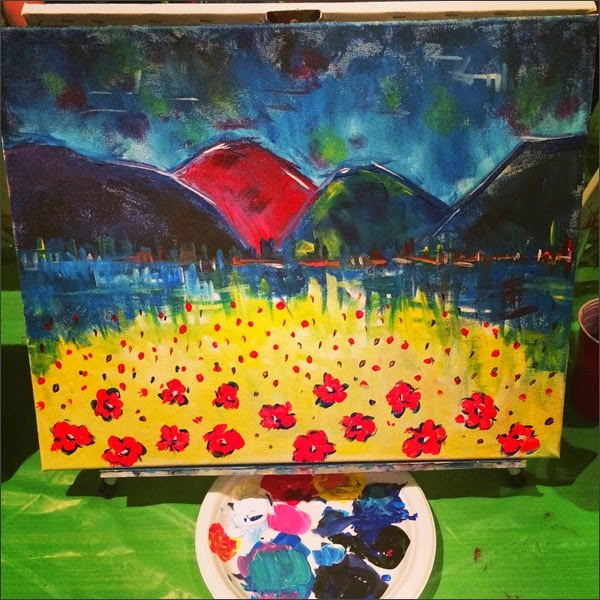 The night we went to was hosted at Dunn's Famous Restaurant downtown and our painting was "Poppy Field". 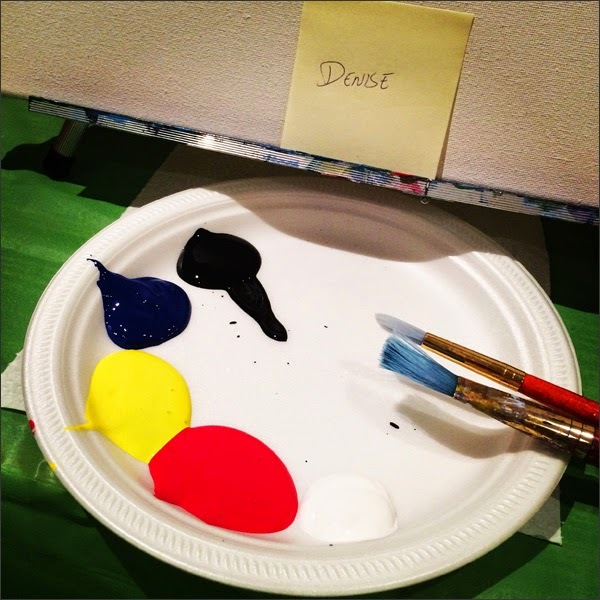 The cost includes a blank canvas, paint and an instructor. Our instructor was Master Artist Monika and she was great! Here's my plate of paint goodness. I was ready! We started by painting a horizon then adding our mountains and sky. My painting was not like everyone else's - I went a bit bold with the colours. I added a red mountain and went really bright yellow for the field. Finally was adding the poppies in the foreground then we were done. 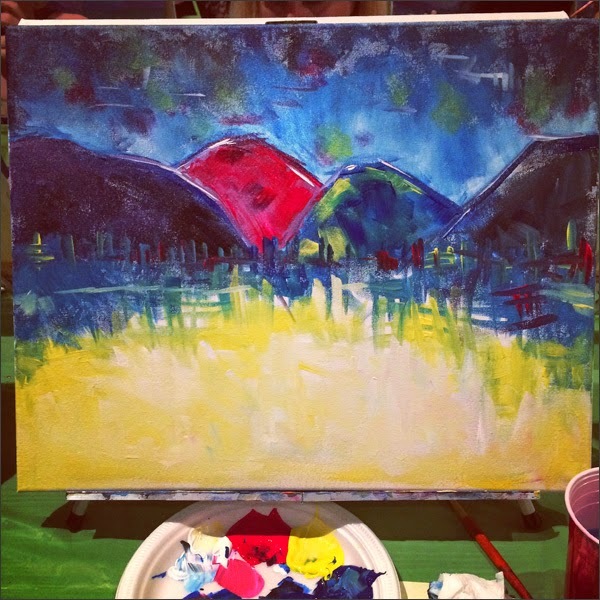 It was a super fun night and I'm pretty happy with my painting. I might add a bit more paint then add a coat of Mod Podge to give the acrylic paint more va-va-voom. Then hopefully I can find a friend who can give it a home. Photos from the evening can be found on Paint Nite's Facebook page at www.facebook.com/paintnitevancouver.